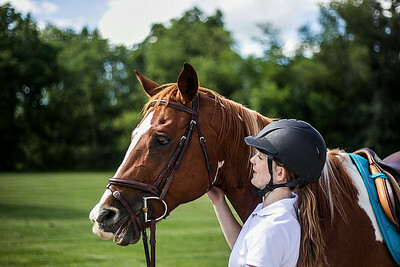 Sarah Nader- snader@shawmedia.com Ceara Mulvey (left), 13, of Johnsburg and her horse, Peanut, walk out of the arena after training for upcoming shows at Horse Fair Park in Spring Grove Wednesday, July 16, 2014. The Spring Grove Horse Show will be celebrating its 50th year with a pig roast celebration that will feature demonstrations, vendors and food on July 27. Sarah Nader- snader@shawmedia.com Ceara Mulvey (left), 13, of Johnsburg and Kelsey Bergloff, 16, of Spring Grove head to the arena at Horse Fair Park in Spring Grove to train for upcoming horse shows Wednesday, July 16, 2014. The Spring Grove Horse Show will be celebrating its 50th year with a pig roast celebration that will feature demonstrations, vendors and food on July 27. Ceara Mulvey (left), 13, of Johnsburg and Kelsey Bergloff, 16, of Spring Grove head to the arena at Horse Fair Park in Spring Grove to train for upcoming horse shows Wednesday, July 16, 2014. The Spring Grove Horse Show will be celebrating its 50th year with a pig roast celebration that will feature demonstrations, vendors and food on July 27.